15ct antique amethyst and diamond ring. Product code: ES1909 Categories: Sold Items, Sold Rings. 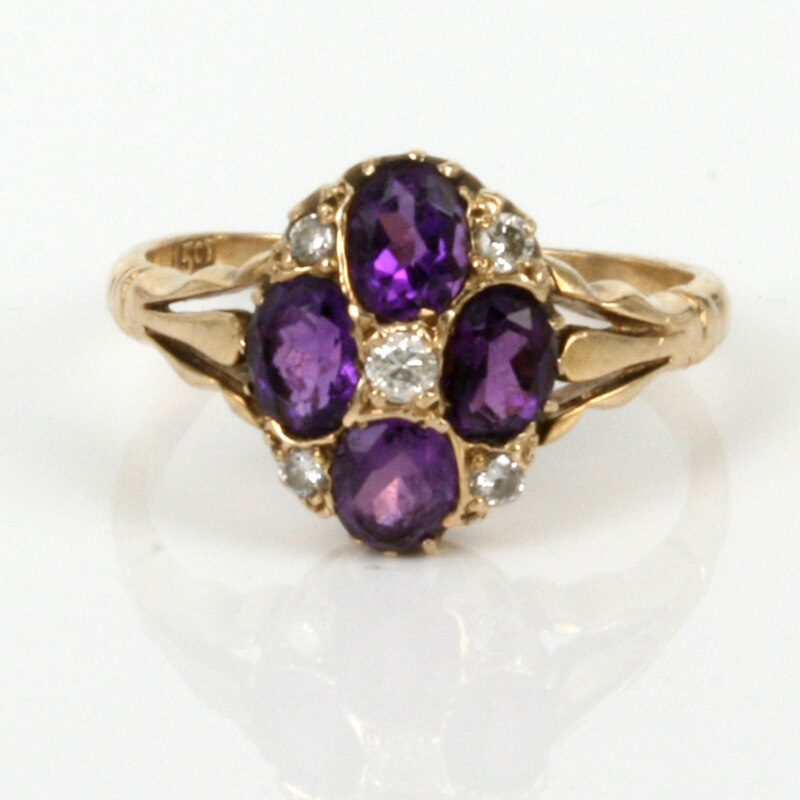 What a sensational antique amethyst and diamond ring that is sure to always be admired! Made in 15ct gold, this Victorian era ring is set with 4 very vibrant amethysts and 5 diamonds to give this ring some extra sparkle. The diamonds total 0.08 carats and are so elegant in the setting with the amethyst. Measuring 11.2mm from top to bottom, this antique ring is perfect for any occasion and is a wonderful example of an antique ring that is around 140 years old, yet still looks amazing.